Home » What Is A Notary? A Notary is an official who is appointed by the State’s Secretary of State to verify the signer of documents. In addition, a Notary Public is in charge of ensuring that the signer is not under undue duress or intimidation. Lastly, a Notary may administer an oath on the signer to verify that the statements on the related document are correct under penalty of perjury. One of the key attributes is that the Notary Public must be impartial as they are agent of the State. 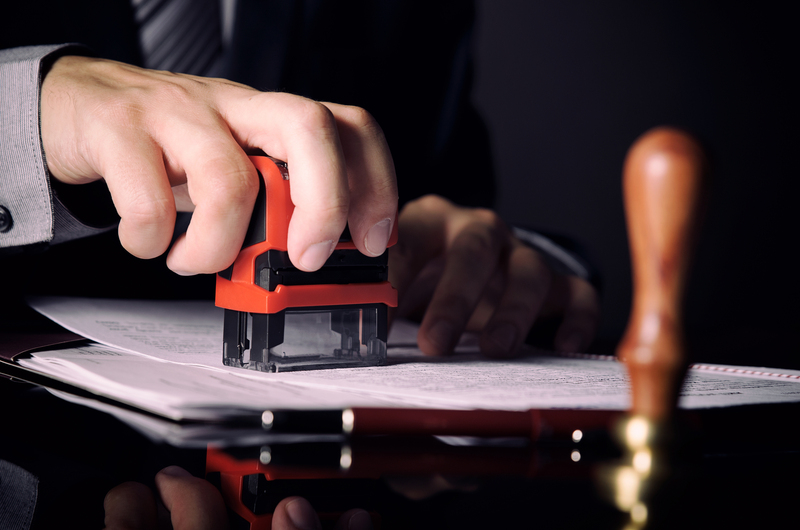 A Notary is necessary in order to prevent fraud. As it relates to important or critical documents, it is imperative that they are done properly and by the individual in question. For instance, if a loan will be taken out against a home, a notary verifies the identity of the signer so ensure the bank and the signer are protected from someone fraudulently taking out a loan with a stolen identity. Verification is done through several means. First, a Notary will validate someone’s identity through a government issued id. Second, a Notary Public can verify a person’s identity through having two other individuals confirm someone. The latter is less common but it is a possible means. Beyond the above, a Notary will also evaluate a signer and their mannerisms to ensure there is nothing inappropriate like coercion or misrepresentation going on. California notaries must pass an exam every four years. At the same time, each notary goes through a background check to ensure they are above board as a fraud preventer. Notaries are limited by California law to charge only $15 per signature. However, there are provisions that allow notaries to charge for travel costs. This amount must be reasonable, but can be charged above the maximum signature fee. Should you have questions about your local notary needs within Los Angeles, Beverly Hills, or California, contact your nearby mobile notary at Mail Boxes Times.